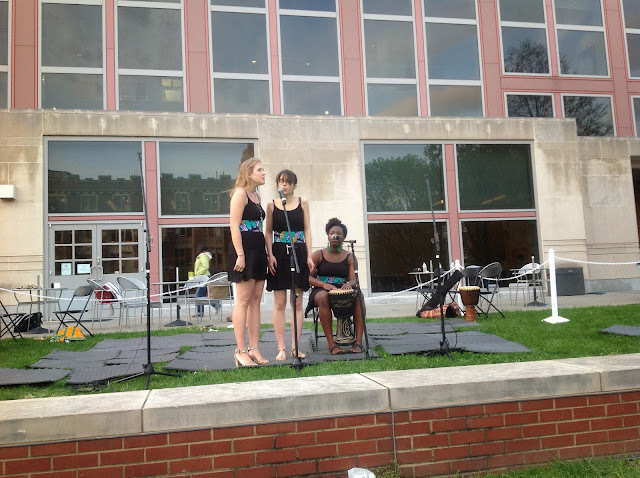 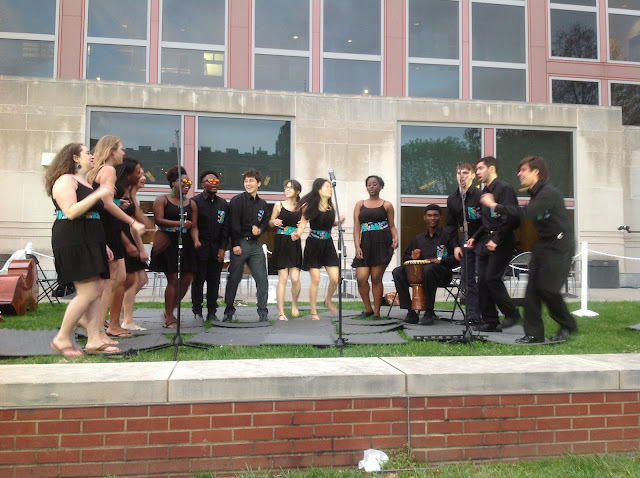 On Thursday night, I was invited by one of my students Akua Bankful to the end-of-year performance by her campus-based group, Princeton African a Cappella. 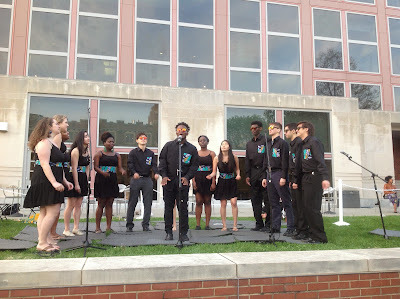 What a delight it was to see these young men and women, including graduating seniors like Akua who have just turned in their honors theses, show their mettle as singers and performers. 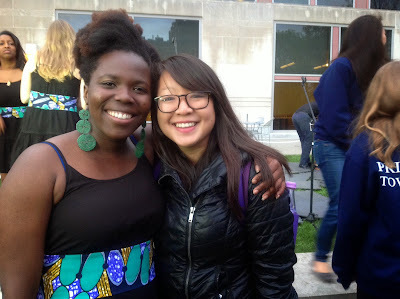 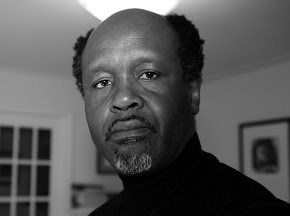 I saw Wendy Li and Faridah Folawiyo, Akua's mates in my "Art and Politics in Postcolonial Africa" seminar. 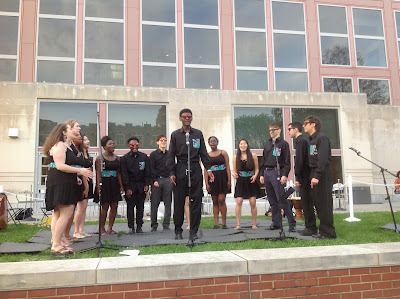 Despite the unexpectedly windy and cold weather, the program--which included spirited performances of songs by Kenyan Sauti Sol, South African Yvonne Chaka Chaka, Nigerian Asa and Duncan Mighty/Davido, and some original works by the group's members--kept the evening warm! 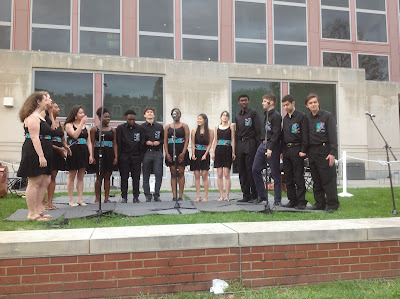 Their performance of Nkosi Sikeli'Afrika (the ANC/South African anthem) brought back memories of Nsukka days when our drama group--led by Greg Mbajiorgu--performed "Freedom Charter" in the Art Theatre.